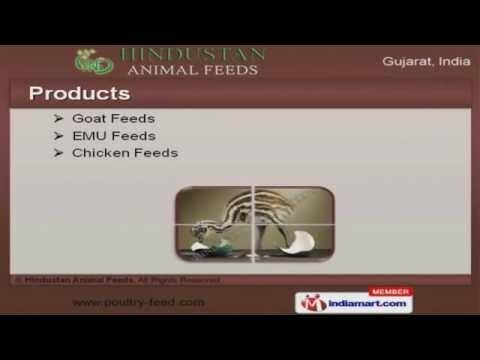 Welcome to Hindustan Animal Feeds, Manufacturer and Exporter of Animal, Poultry Feeds and Supplements. We are an ISO 22000:2005 certified company, established in the year 2008 atÂ Jamnagar. We Cater to East Europe, Central America and other countries. High nutritional values, World class packaging and Complete customer satisfaction are some of the key factors behind our success. We are specialized in manufacturing Goat, Chicken and Animal Feeds. Our Beef and Cattle Feeds are in huge demand across the global markets. Duck and Layer Poultry Feeds offered by us are available at industry leading prices. Our Organic Poultry Feeds are best in the industry amongst others. We also provide Pigeon and Quail Feeds that are widely acclaimed in the market. Along with that we offer Broiler Poultry Concentrates that are extremely reliable.